Buy 5 Get 1 FREE ends TOMORROW! Help us get to 2000 Followers!! Don't forget to stock-up and take advantage of this amazing deal from BumGenius! The sale on the 4.0 One-Size Pocket Diapers and 3.0 All-In-Ones (excluding size xs) ends TOMORROW!! 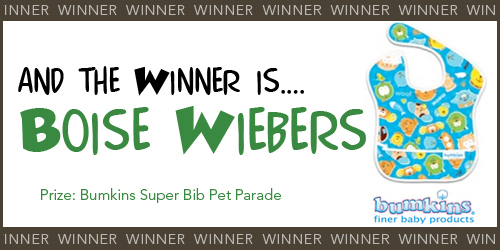 Boise Wiebers is the winner of Bumkins Super Bib Pet Parade! Please contact us at media@nickisdiapers.com with your address. You have 7 days to claim your prize. I picked up a Rumparooz One-Size Pocket Diaper to try out, and I'm in love. The first thing that caught my eye was the cover patterns -- how CUTE! When I started to look at the features of these diapers, I realized how awesome they are. First -- double inner gussets. What!? So amazing at keeping in poo! I really like this feature, and am impressed that they don't leave marks or anything on my little guy. The sizing is fairly generous, and I admit that I haven't tried it on my big boy, but I can venture a guess that it would fit him fine. There is still a lot of room to grow for my 22lb boy. Another unique thing about this diaper is the soaker system. The insert has several different options based on the size and absorbency needs of your child. You can snap the insert into small, medium, or large. You can then add the contoured doubler for even more absorbency in the front for a boy of in the middle for a girl -- where it counts! With both inserts, it's pretty bulky but VERY absorbent and still awesome for daytime. I personally love it as a naptime diaper. Have you tried a Rumparooz? 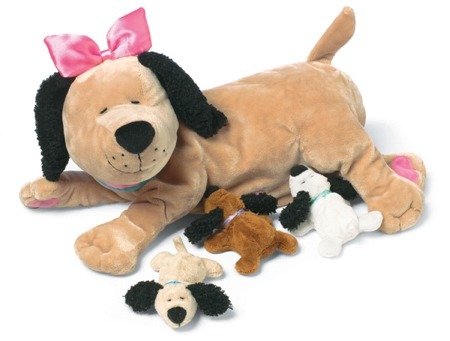 Ready for your chance to win a Bumkins Super Bib Pet Parade? There are a few ways you can enter. You can do each one of the entries however you must post back here to our blog and tell us WHAT you did. Be sure you follow the Nicki’s Diapers blog - publicly for your chance to win! We will post our winner on Wednesday, December 29th. Place an order at nickisdiapers.com, myswimbaby.com or clothdiaperclearance.com between 12-23-10 and 12-28-10. Include your order number in your entry. When I first started cloth diapering my daughter over a year ago, I thought that I might be the only person willing to change her diapers. The words "cloth diapers" have a scare factor for many people. At first, even my husband was skeptical about my decision to use cloth. However, I have found that my husband, the grandparents, and even babysitters are quite willing to change cloth diapers, as long as I make it easy for them. When I first started leaving my daughter in the church nursery in cloth, I told the nursery workers that they could just page me if she needed changed. I didn't know if they would be willing to mess with an unfamiliar way of diapering, and I knew that they had several children to watch. The ladies quickly told me that if I would tell them what to do, they would be willing to do it. They just didn't want to get it "wrong." From that point on, I realized that if changing my baby isn't really any more trouble than any other diaper change, people will give cloth a try. So what is my routine for sitters? First of all, I make sure that anyone watching my daughter knows how to change her. I usually demonstrate a diaper change in front of anyone who hasn't seen her cloth diapers. I also keep it simple. Even though I love to use snap diapers, I know that most people are more comfortable with velcro; it is just so much more familiar, and it's easier to get the fit right on the first try. So I only leave hook and loop closure pocket diapers, like Bum Genius or Thirsties Duo Diapers, for babysitters. (And I do stuff my pockets ahead of time!) Also, I don't expect anyone to pull out the inserts or dump the poop out of the diaper. I just ask them to place it in a medium-size wet bag, and I deal with that part later. That way, a babysitter only has to take off one diaper and put on a clean one - just like any diaper change. What could be easier? 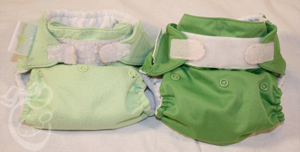 By Guest Blogger: Angel N.
When my twins were newborns prefolds and covers were all we used! We love prefolds, they are easy to use and dry extremely fast, so you don't need to have a ton. However, when it comes to prefolds, in my experience they get wet a lot faster, thus you end up using a bunch through the day. When the babies were a few months old we decided to branch out to other cloth diaper styles. After much research, we made the decision to add Bum Genius to our prefold stash. I purchased 18 Bum Genius 3.0 - 9 boy colors & 9 girl colors! When a friend of mine (we'll call her Jane) found out that I was cloth diapering my infant twins, Jane decided that she would give cloth diapering a try with her 13 months old. We each placed our orders at the same time. Jane's diapers ended up arriving about 10 days before mine did. When mine arrived, I read the manufactures guidelines and washing instructions. Then I did about 8 prep washes to ensure they would absorb as much as they possible could. But...Jane washed them once. She told me she didn't think it was really that important to prep them and all she really wanted to do was "get the factory smell" out of the diapers. Life is busy, having kids is hectic, and living in 2 different states, Jane and I ended up not talking for a few months. During those few months, when one of the twins would poo, I would spray it out and if there was staining I would use a scrub brush and try to get the stain out, then wash it with in 2 hours. When the diapers were wet I put them in a wet bag until, the wet bag contained a full load (12-24 dipes). My diapers were ONLY washed with other diapers. ONLY dried with other diapers. I only used laundry soap made for cloth diapers...if for some reason we were out I would use a tiny amount of a natural free and clear. I NEVER used bleach or any other harsh chemicals. I NEVER EVER would use a dryer sheet. If my diapers were not absorbing like before , I would simply do 3 hot loads with NO laundry soap, they would always be back absorbing like before, they had just a little build up...happens to the best of us! When I finally got a chance to talk to Jane, all she did was complain about the diapers, how horrible they were, how they leaked everywhere, and how they smelled so bad. I just listened to her rant. After she was done, I asked her how she had been caring for the diapers. "How I've been caring for the diapers?" she asked me, like I was crazy. I explained what I meant. As she shared with me, I was HORRIFIED! Jane told me this: When her baby would poo, she would shake to diaper over the toilet to remove the poo...Ok, that's good! Then, She would toss the dirty diaper in a laundry basket with all the dirty clothes, bath towels, and anything else that needed to be washed. Every diaper that had been wet would be tossed into the laundry basket as well, again with everything else that was dirty. In addition to this, when Jane would do her laundry load, EVERYTHING would go in together. No separation of diapers and other items. I started to get a little concerned about the condition these diaper were in. Jane also regularly used these Bleach, heavy duty laundry soap, liquid fabric softener, and fabric drier sheets. I understood now why the diapers were leaking so badly. I gave her a few suggestions, like: doing a soak and maybe a few strip loads with no soap. I also encouraged her to stop using the bleach and fabric softener. Most importantly, I told her to wash her diapers with only diapers. She told be she would give those suggestions a try. We chatted about our kids, then hung up. A few weeks later, the phone rang...it was Jane! She told me that my suggestions had totally transformed her diapers. They had been holding up over night, they weren't leaking & most importantly they didn't stink! Then out of the blue she said: "I need your address" -"ok, why" I asked. Jane responded "I decided that cloth diapers aren't for me and I just want them gone". I was actually really surprised by this. When I shared that I was confused, she told me "we'll they were transformed for about a week, then I decided to go back to washing the way I was, it is just so much easier that way" My first thought...UGH. I gave a few suggestions, she responded back. I knew there was no point, her mind was made up. I gave her my address and that was that. I received a box of 5 Bum Genius 3.0's soon after. Call me naive, but I was shocked at the condition of these diapers. When I compared my BG 3.0 to Jane's BG 3.0's, I was surprised. My diapers looked like they were maybe 6ish months old, Jane's looked like they were about 5 years old. (both mine and Jane's dipes were 10 month old in the photos) On my diaper the velcro was still stiff and held the diaper wonderfully together. The velcro on Jane's was almost unrecognizable as velcro, horribly curled & pilled, and not 'sticky' at all. In addition to this the inserts were rough and almost blue from all the bleach. Note: In all photos my diaper is the Dark Green, Jane's is the Light Green. My husband looked at these sad diapers and told me: " Well if anyone can bring these back to life, its you". On a positive note the PUL was actually in pretty good condition. So I set out on a journey of repair. After 8 washed the water was still coming out soapy, it took 12-14 for the water to be 100% soap free...whoa. The smell of harsh cleaner was still too strong. I did a over night soak, and that really seemed to help with the chemical smell. I tested the diapers out on the twins, they don't leak, honestly I am stunned. However the velcro is pretty shot, and doesn't hold at all. With a little more TLC I know these Diapers will be back in great working condition, in addition I have plans to convert them to snaps. I share with you this story, not to bad mouth Jane, but to share the importance of proper diaper care. It takes a little extra work, but done correctly, diapers can stay in beautiful condition for years. I also understand that cloth diapering can be difficult, and may not be for everyone, but if it is something you are considering, do your homework, know the Do's and Don'ts of Cloth Diapering. Cloth Diapering can be a wonderful and even fun experience when the proper care is taken! 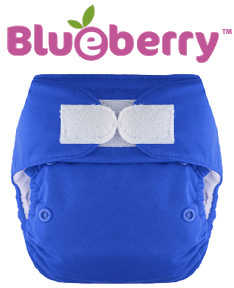 Blueberry is one of my favorite diaper brands. I just love the quality and fit of their diapers. 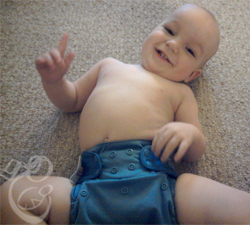 I bought a few of the One Size Deluxe Pocket diapers for my youngest son, and I love them. The fit is excellent on him. I would say that this probably isn't the best option for tiny newborns, as the sizing is very generous. My 25lb one year old still fits in the medium rise and the second to smallest waist snaps! I really like that this is one diaper I never feel concerned about leaving red marks on legs or belly. Excellent absorbency. I use both microterry inserts with my heavy wetter, and I haven't had a leak yet. I do like that there's an option for bamboo or microfiber/hemp as well. 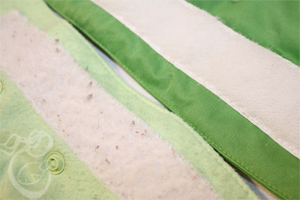 The fleece inner is great for wicking moisture away from baby and the gussets do a great job at holding in messes. To enter to win this gift package, follow our blog then comment on this blog post telling us you're a follower! If you refer anyone, have them comment that you referred them to count for additional entries! You can have as many referrals as you can get!! If we get to 2000 followers by Monday, December 20th, we'll ship in time for Christmas!! I've tried a lot of different diapers over the past few years, and one that remains in my rotation (although I only have one) is the Flip diaper system by bumGenius. The cloth insert choices are Stay-Dry or Organic Cotton, and are both one-size -- you fold them to create the correct length (small, medium, or large). There are ALSO disposable inserts, in packs of 18, which make traveling or caregiver situations even easier! Overall, I really like the Flip system and would suggest it to those looking for a multitude of options. Have you tried the Flip diapers? 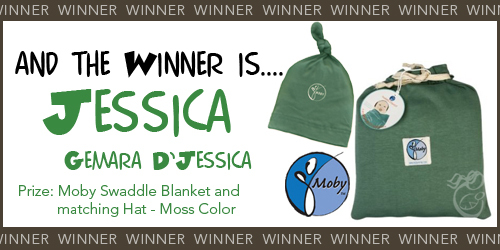 Jessica (Gemara D'Jessica) is the winner of Moby Swaddle Blanket and matching Hat - Moss Color! Please contact us at media@nickisdiapers.com with your address. 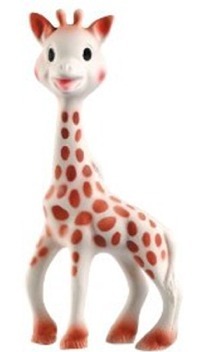 You have 7 days to claim your prize. 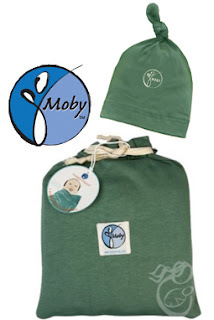 Ready for your chance to win a Moby Swaddle Blanket and matching Hat - Moss Color? There are a few ways you can enter. You can do each one of the entries however you must post back here to our blog and tell us WHAT you did. Be sure you follow the Nicki’s Diapers blog - publicly for your chance to win! We will post our winner on Wednesday, December 15th. Place an order at nickisdiapers.com, myswimbaby.com or clothdiaperclearance.com between 12-10-10 and 12-14-10. Include your order number in your entry. 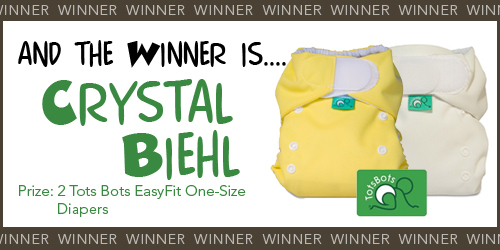 Crystal Biehl is the winner of TWO Tots Bots EasyFit One-Size Diapers! Please contact us at media@nickisdiapers.com with your address. You have 7 days to claim your prize. Up to 10% off with FREE SHIPPING! There is nothing more annoying than spending money on 12 of the new "it" diaper only to find out that the: fit is not good for your baby. The diaper doesn't absorb like it was supposed to. The fabric isn't as soft as you thought it would be. In doing the research on different types of cloth diapers you can explore all the pro and cons for each type and get a idea what is right for your personal situation, it might be time consuming, but it is worth it. There is a particular diaper that everyone seems to LOVE, I decided to get each of the twins one...thank goodness I only got 2. I ended up hating them after the very first use. Tip: Choose a number of different diaper you like, then buy one or two of each brand. This way you can try a bunch of different kind and find out the ones you love and the ones you hate. Without breaking the bank! Diaper Rash cream will cause you diapers to leak. It take A LOT of elbow grease to get it out of the diaper. I learned this the hard way. Now if I have to use a rash cream, I either use a 100% cloth diaper safe cream ( like Earth Mama Angel Baby) or a just simply put a fleece doubler in. That way, my babies are getting the relief they need but is isn't hurting the diaper! I have a top loader, and I have learned my lesson! A underloaded washer results in a HUGE waste of water, and time. A overloaded washer results in the diapers on top not getting completely submerged in the wash, thus leaving them stinky because they were not properly cleaned. I have found it is best to have a load that consist of 12-24 diapers, that way they still have room to rub up against each other to get a nice deep clean! Hint: Don't have enough diapers for a full load but MUST do the load? It simple toss in a clean hand towel or two! Having twins I wash a average of about 50 diapers a week! There have been nights when I have just been too tired to go and get them out of the dryer to stuff and fold them. That can create a viscous cycle of leaving the diapers in the drier or on the clothes line until they are needed, and lets face it that is not convenient. With so many diapers my husband and my self have created a system. In the evening, once the diapers have been dried weather from the clothes line or the drier, we put all the diapers, inserts, doublers, and covers in a basket. While watching t.v or chatting with each other about the day, we stuff all the pockets, fold all the prefolds & snap and prepare all the diapers and covers for the next day. That way when I need a clean diaper it is quick and easy to grab one and know that is ready to go! There is nothing more nasty than forgetting about a soiled diaper for a day or two. Without giving details, I have too learned this the hard way. I can say I love my diaper sprayer. It cleans the diaper quick and easy, right in the toilet. All you do is flush and TA DA! The diaper sprayer quickly became a must have in our home! Hint: Once a soiled diaper has been cleaned to the best of your ability, soak for about 15 minutes in hot water. Then with a stiff bristled brush ( like a fingernail brush) using only hot water scrub the diaper. This will help prevent stains and get the diaper even cleaner in the wash. Recently I was having ummm...well a stinky issue with some of my diapers. A friend suggested line drying them! So I did. Not only did the diapers dry incredibly fast, but the stink was gone, and bonus the sun removed 99.9% of the stains some of them had. Hint: No outside line? Me either. It's easy to make one. The dollar store sells clothes line cord and clothes pins. I made my clothes line on my deck, tying to one post at one end of the deck and the other at...yup you guessed it, the other end of the deck! You can make yours where ever you want by simply tying the cord to a tree, a post or what ever you have, then tie the other end to what ever you can! Then you are ready to line dry!!! I opened the dryer, and YUCK a blast of stink! It was horrific. After some research I discovered it was detergent build up. I learned that adding too much soap causes this hideous smell. I started using hardly any detergent. Hint: Can't seem to get rid of that nasty smell not matter what you do? Try this: Soak 12-24 diaper in a HOT wash for at least a hour (when doing this I do it over night). Once your soak is complete continue you was cycle with no detergent. After cycle is complete, rinse again. The water from my washer empties into a tub sink so I was able to see the water, I was shocked to see after 3 rinses the water was still coming out with suds. When the water no longer had suds. I dried the diapers...NO STINK!!! When cloth diapering, it can get stinky between washes. My cloth diapering top 'must have' Item is my wet bag!! When we first started cloth diapering, I thought ' we don't need to spend money on a wet bag' Whoa was I wrong. Plastic bags don't cut it. I have amazed us how a horrible stinky room can suddenly be fresh by simply zipping our wet bag!!! Our wet bag it very large and can easily zip with 18 diapers (BumGenius) in it! For my husband and my self prefolds are indispensable! Nothing is easier, dries faster, or is as trim. Prefolds. They are a wonderful 'go to' choice. While I'm at home it's easy! Grab a prefold, a snappi, and a pair of wool longies! This is a perfect combination for fall! Hint: Don't have Wool? First of all, I highly recommend looking into wool as a possible option for your family, you be so happy you did! But, if you don't have wool and feel wool just isn't for you. Try this: cover your prefold with a Flip cover or a Bummis Super Whisper wrap or Super Brite...or your favorite cover! When I first started cloth diapering nearly 5 years ago. I had 5 AIO's, 12 prefolds, and 8 diaper pins. I had just started out and didn't know about ALL the different types, styles,and brands of diapers. In 2008 out when we found out I was pregnant with the twins we started buying our cloth diapers...The addiction had not set in yet! I started by buying 24 indian prefolds, then 24 more prefolds...enter addiction!!! My twins are now 1! I am very proud of their stash!! But.....I still want more....Have you seen the Bummis Easy fit Prints?? Or the BumGenius Prints! *my heart quickens! By Guest Blogger - Britni : Mama of 3! Cloth Diapering twins! 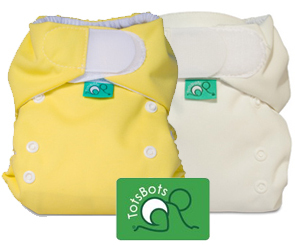 Nicki's Weekly Giveaway: 2 Tots Bots EasyFit OS Diapers! Ready for your chance to win TWO Tots Bots EasyFit One-Size Diapers? There are a few ways you can enter. You can do each one of the entries however you must post back here to our blog and tell us WHAT you did. Be sure you follow the Nicki’s Diapers blog - publicly for your chance to win! We will post our winner on Wednesday, December 8th. Place an order at nickisdiapers.com, myswimbaby.com or clothdiaperclearance.com between 11-30-10 and 12-7-10. Include your order number in your entry.